Where to Buy Exocutor EX40, Exocutor EX40 Watt White Electric Fly Zapper - $179.95 for Sale with Fast Free Shipping! 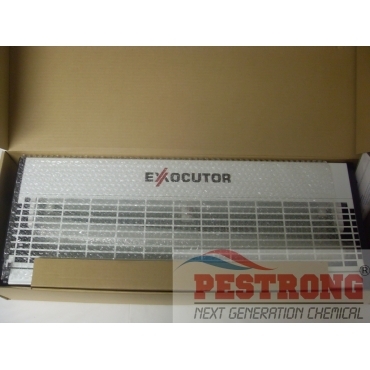 Exocutor EX40 Watt White Electric Fly Zapper designed to maximise useful UV light output, from the internal aluminium UV light reflectors, designed to re-use the powerful insect attracting wavelength of the Philips BL 368nm tubes, to the unique light scoops which allow light to exude from the corners of the unit as well as the front, back and sides. Protect Pentathlon Manzate Generic Mancozeb..
UL approved and easy to use. This is an excellent bug zapper. It comes with everything I need. Kills a lot of flying bugs. It's great.